Assurex Health revealed today that it plans to move its headquarters and laboratories to a $15 million complex that will be built next year in Mason’s Oakpark District. The building on Innovation Way, near the planned $16.4 million Western Row Interchange for Interstate 71, will anchor a 30-acre, mixed-use development. The Warren County city of Mason owns the land, which is now vacant. The 60,000-square-foot Assurex Health complex will be designed to allow a build-out of another 30,000 square feet. About 190 of Assurex Health’s 300 employees are based in Mason, but the first phase of the new headquarters will be designed to accommodate up to 500. Assurex Health hired DTZ (previously known as Cassidy Turley Commercial Real Estate Services) as project manager. DTZ will find a developer, who will own the building and lease it to Assurex. 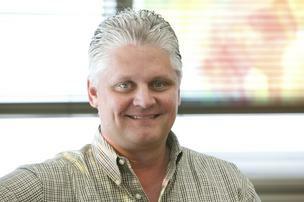 Don Wright, chief operating officer of Assurex, said an architect should be hired by June 1. Initial drawings for the project are to be completed by July 1. Wright expects construction to be done before the end of 2016. The Assurex footprint will be between 5 and 10 acres, he said. That will provide space to accommodate a fast-growing workforce. Assurex has more than tripled its employees in the last three years and expects to have about 460 within two years. That’s because the company has seen a surge in orders for its genetic tests, which enable doctors to better determine the best medication to treat people with mental disorders or chronic pain. Nearly 150,000 of its GeneSight tests have been ordered so far, up from 115,000 in October. Doctors order the tests from Assurex, whose clinical lab analyzes a sample of a patient’s DNA taken with a cheek swab and quickly reports back on what’s likely the best treatment for mental health issues or pain. Assurex is now headquartered in the Mason Community Center. Its genomic laboratory and customer support center are in the neighboring Mason Municipal Building at 6000 Mason-Montgomery Road. The operations occupy about 25,000 square feet. The Oakpark District, which encompasses about 235 acres off Exit 24 of I-71, is part of what Mason officials call their Innovation Corridor. Brunsman covers Procter & Gamble Co. and health care.